Skulls all around. This double-sided Fantasy T-shirt features a bodacious bounty of skulls. Make the call! *Plus sizes (3X-6X) are printed on a lighter heather grey tee. 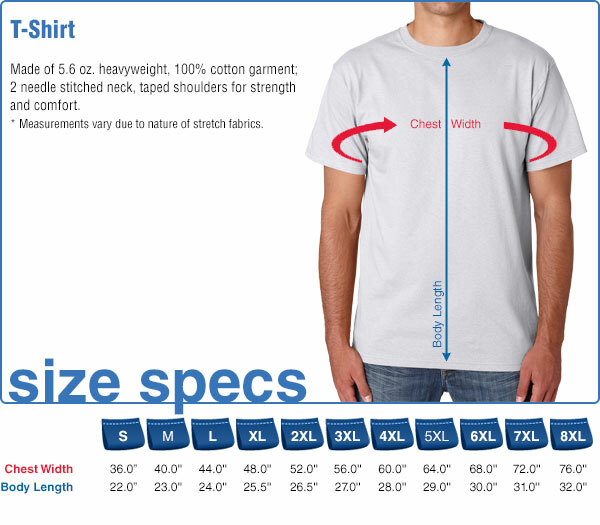 Plus sizing is available on standard tee size chart click here. Great shirts ,fast delivery and a pleasure to deal with.